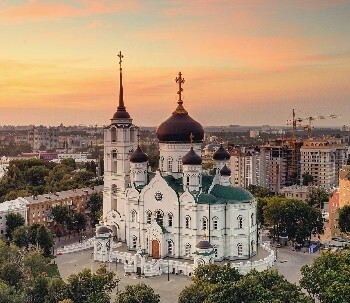 Voronezh Airport is located near the villageChertovitskoe, it has an international status and today serves more than twenty destinations, including international flights. Despite the fact that the airport is not experiencing the best of times, the geography of its flights is constantly expanding. Today the airport has successfully cooperated with such well-known as the airlines "UTair", "Flight», «Vueling Airlines», «Astra Airlines» and capable of providing the transport of more than one million passengers per year. History of the Voronezh airport originates in1930s, when the dirt runway was equipped in the city. After the war was built a civilian airport that serves local airlines. And in 1971 put into operation a new terminal building, functioning today. Until recently, the maincompany-carrier considered in Voronezh Airlines 'Flight'. Established in 1988, it was the first private airline in Russia and the Soviet Union engaged in international air passenger transportation and cargo transportation. In 1995, the airport received international status. Today the airport is working with such well-knownair carriers as "UTair", "Aeroflot", "Rusline", "Saratov airlines". 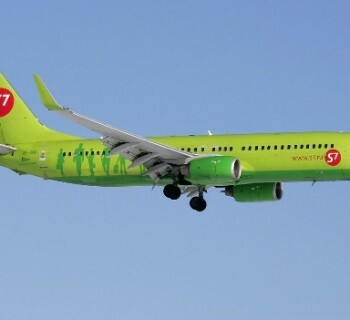 Commits a permanent flights to Sochi, Anapa, Kostroma, Khanty-Mansiysk and many large cities of Russia. Regularly serviced by charter flights to Barcelona, ​​Italy, Greece and other popular among tourists around the world. Highly qualified personnel VoronezhAirport security provides a stable and regular performance of flights. Modern technologies allow passengers to enjoy the Voronezh registration e-tickets. On the territory of airline passengersgiven the opportunity to use the clock service medical center, post office, business center, a lounge of officials and hotels. A restaurant, coffee bar, ATM and cash desks. Constantly on duty police outfit. As part of the additional services are particularly pleased free parking for private cars and taxis permanent parking, which can cause even in the air, directly from the aircraft. From the airport to the city regularly №120 Buses and taxis on the same route.